Dr. Jane Hewes is a longtime advocate of children’s rights and high quality, community-based early learning programs. She has worked as a play specialist, consultant, and presently, is chair of the Early Learning and Child Care program at Grant MacEwan University in Edmonton, Alberta. Dr. Hewes’ field of academic study is focused on children’s play, which was the topic of her graduate work. Dr. Hewes is a member of several boards, including the International Play Association, the Services Committee of the Centre of Excellence for Early Childhood Development, and the Canadian Child Care Federation. She also led the evaluation team for the pilot of the Alberta Child Care Accreditation model, which was a first in Canada. 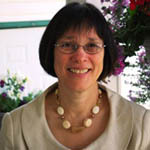 Dr. Hewes’ publications include Let the Children Play: Nature’s Answer to Early Learning, Play and Early Learning: A Call for Dialogue, and Back to Basics: The Child’s Right to Play. In this article, Dr. Hewes outlines why play is so important in the early years. She points out although this is widely known, play is persistently undervalued in our society and in our educational systems. The priority is generally on academic skills, which limits the scope of learning that unfolds naturally in play. Ensure there is adequate time, space and conditions for play to develop, both indoors and outdoors. Ensure that early learning environments have an appropriate balance of child-initiated free play and more directed learning. Improve the quality and scope of play in early learning environments. promote the value of play and the child’s right to play.